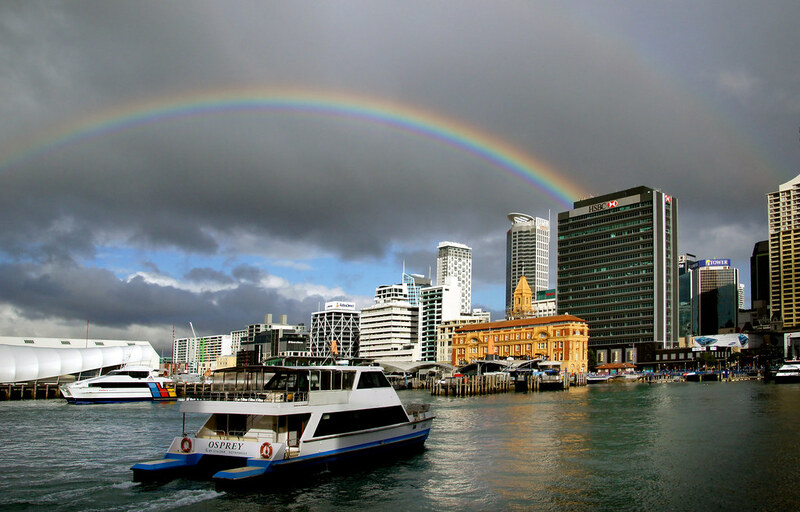 New Zealand is quickly becoming a hugely popular tourist destination. Renowned for its Maori culture, beautiful landscapes, and exciting adventures on offer, these five Kiwi locations are sure to show you just what the country is all about. Being one of the largest cities in New Zealand, Christchurch is a must for anyone visiting the country for the first time. However, Christchurch stands out for its overwhelming feel of community. 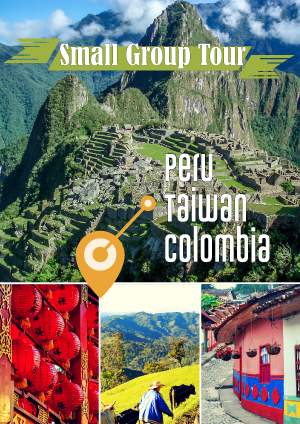 Following a devastating earthquake in 2011, the city’s residents have come together in countless ways, with incredibly unique buildings popping up even to this day and unique creative spaces such as cafés and markets open to anyone. Only a few hours away from Christchurch is Mount Cook National Park, arguably the most beautiful part of the Canterbury region. Here you can find the highest point in the whole of New Zealand in the form of Aoraki Mount Cook, also known as the ‘Cloud Piercer’, as well as dolphins, whales and plenty of other unique sea creatures swimming in the park’s warm waters all year round. And, once you’re there, the activities you can get up to are available in abundance! If you’re looking for adventure, Queenstown is where you’ll find it. Being awarded Australasia’s Leading Destination in both 2014 and 2016 (as well as being nominated again this year), the town has something to do for absolutely everyone. There’s the world-renowned bungee jumping opportunities – if you’re brave enough, you could try Australasia’s highest at Nevis Bungy. That’s not all – there’s a wide spectrum of activities to get up to in Queensland, whether it be white water rafting on the Karawau River or mountain biking along over 30km of tracks in the Queenstown Bike Park. If you’re looking for something more relaxed, the food and drink on offer in Queenstown is just as exciting. You could try a Fergburger – the town’s “worst kept secret” – or visit one of the many bars and clubs on offer to take in the bustling nightlife. 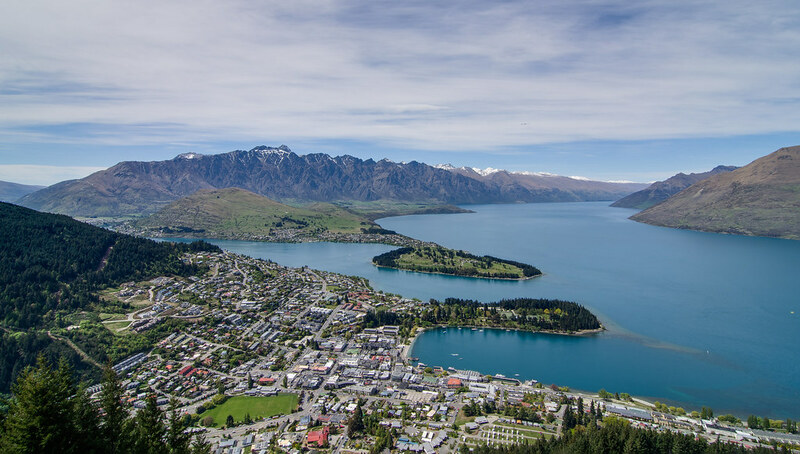 If you’re looking for a fun-packed trip, Queenstown is New Zealand’s prime location. Best of all, you don’t need to go at a particular time – there’s something happening all year round. If you’re looking for something slightly more relaxed, Mount Maunganui is the perfect place for you. The laidback beach town is relatively unknown to tourists, meaning the opportunity is there to fully immerse yourself in the gorgeous sights on offer – the town’s beach was voted as New Zealand’s best this year. Although the town is considerably calm and quiet, there’s still plenty to do. 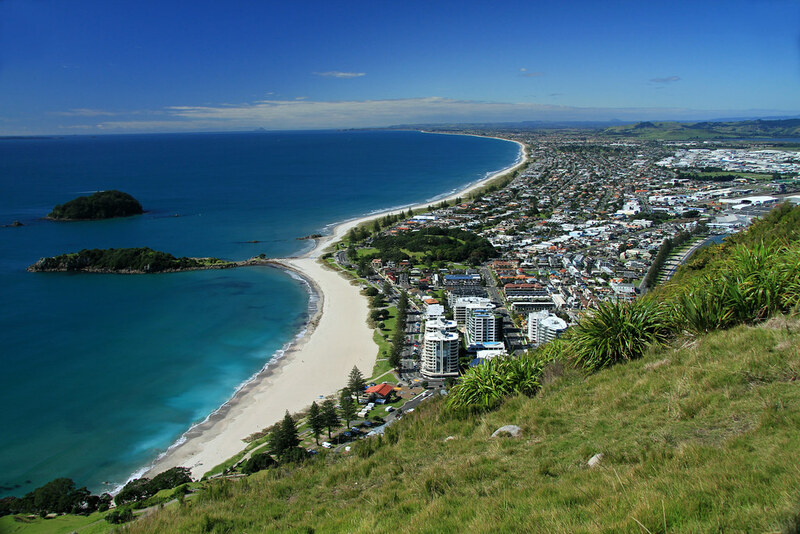 You can play golf on the town’s 18-hole course; you can enjoy some of the finest food and drink New Zealand has to offer; and, of course, you have to get your walking shoes on and climb to the top of the town’s highest point – Mount Maunganui itself. The views are absolutely unprecedented, and are sure to make your Instagram followers very jealous! What with it being the biggest city in New Zealand, there’s nothing you can’t do in Auckland. Located near the very top of the country’s north island, the energetic city is full to the brim of opportunities you won’t want to miss. There’s the Sky Tower, the tallest man-made structure in NZ, which you can either look out from via the observation deck or jump from via the tower’s 192-metre high SkyJump – your choice! That’s not all, though – you can trek along Auckland’s Coast to Coast Walkway, spanning over 16km from one of the city’s coasts to the other with incredible panoramic views on the way. If you fancy something a bit more laidback, Ponsonby Road is one of the city’s hippest up-and-coming districts, with some of the coolest food joints and bars the country has to offer – Ponsonby Social Club is renowned for its Sunday grill. And, for something even more serene, Waiheke Island is a half-hour ferry ride away – with its picturesque beaches and gorgeous vineyards, it’s no wonder Auckland’s been named the world’s third most liveable city. You might never want to come home! Visiting Rotorua is guaranteed to be one of the most unique experiences on offer in the whole world. Known as New Zealand’s cultural stronghold (35% of the town’s population is Maori), the town sits upon a volcanic plate. The resulting geysers and hot pools are breathtaking, with one of the hot springs being named Wai-O-Tapu – “Sacred Waters”. Walk along one of the trails alongside some incredible geothermal activity to fully experience the town’s magic. Of course, there’s plenty more to get up to during the stay – the usual white-water rafting and skydiving opportunities are on offer, as well as the world-renowned caving experiences waiting for you in the nearby town of Waitomo. For a very different type of holiday, Rotorua is your ideal location – discover an untouched cultural haven that is cherished by New Zealanders all around.